David Cameron has claimed £5.6 billion in business deals have been agreed between the UK and China during his three-day trip to the country. The Prime Minister met with Chinese entrepreneur Jack Ma, who owns Alibaba, China's version of Amazon. His companies, the PM said in a tweet, had $157 billion of online transactions last year. Mr Cameron had a reminder of home as he met the chairman of China's biggest vehicle manufacturer Geely, which now owns the makers of London's famous black taxis, Manganese Bronze Holdings. Geely has announced an £80 million investment into research and production of the new hybrid TX5 model, expected to create 500 new jobs at the Coventry plant, quadrupling the workforce. "Black cabs are synonymous with London. Getting one in Shanghai today highlights how the links between the UK and China can bring rewards for both - Chinese investment helping British businesses to succeed and grow." Chinese newspaper The Global Times has dismissed Prime Minister David Cameron's "ice-breaking" visit and the strategic importance of the UK in a scathing editorial. 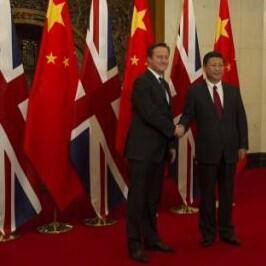 The Cameron administration should acknowledge that the UK is not a big power in the eyes of the Chinese. It is just an old European country apt for travel and study. This has gradually become the habitual thought of the Chinese people. David Cameron's old tutor at Oxford, Vernon Bogdanor, still sends him emails criticising his work, the Prime Minister revealed to a group of students in China. Mr Cameron was speaking to students at Shanghai University, where he was quizzed on the UK's new rules for student visas. 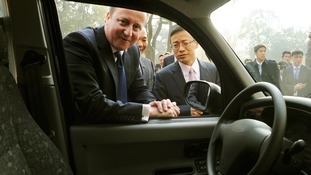 David Cameron took a look around a Chinese version of the London taxi this morning. 500 new jobs are being created after an £80 million investment from Chinese car firm Geely, who bought the cab manufacturer The London Taxi Company earlier this year. David Cameron is set to be grilled on the UK's regime for student visas when he faces questions from students at a Shanghai university on the second day of his visit to China. The coalition Government's moves to tighten up the visa system and shut down "bogus" colleges have been blamed in some quarters for putting off students from emerging economies such as China from coming to Britain to study. The Prime Minister is determined to get across the message that there is "no limit" on the number of Chinese students who can come to the UK, so long as they have English language skills and a place at a university. Before flying out to China, Mr Cameron said he wanted to increase the 100,000-plus Chinese students already in the UK. In a visit dedicated to boosting UK trade with China, Mr Cameron will also meet entrepreneur Jack Ma, creator of China's biggest e-commerce firm Alibaba. David Cameron has been having talks on trade with China's leaders but on their terms. He has had to agree not to visit the Dalai Lama again, with his previous visit having upset Beijing, and he took part in a news conference where no questions from journalists were allowed. The meal was followed be desserts of pastries and fruits, and accompanied by wines from China's Shandong region. The Global Times newspaper's criticism of the UK is stinging given that David Cameron has spent two days courting China's leaders. 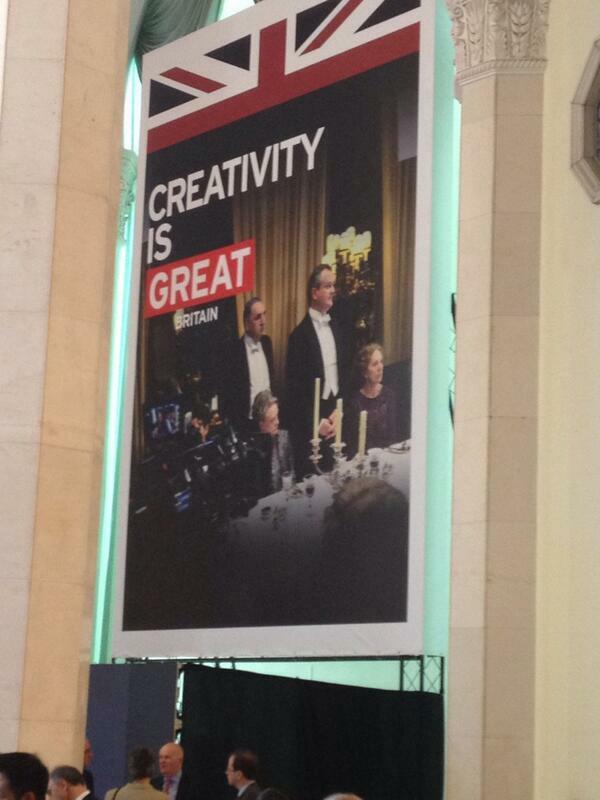 David Cameron's visit to China has not been easy to arrange with the pressure for the trip coming from the British.